Many people have decided to turn to medical marijuana instead of, or in addition to, using pharmaceutical drugs. The tricky part is locating the right dispensary. 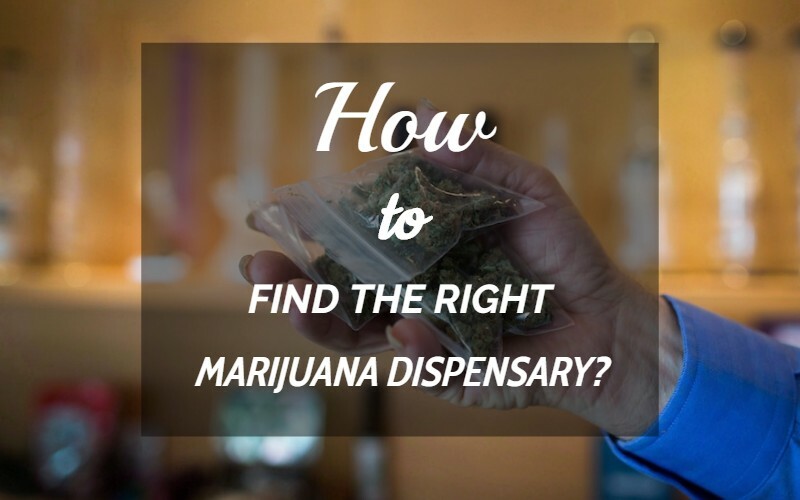 This article will help point out what is important when looking for a medical marijuana dispensary. Always keep in the minds the basics; most importantly the health and safety aspects when looking for a medical marijuana dispensary perfect for your needs. The dispensary needs to abide by specific health and safety regulations. The dispensary also needs to make certain that their marijuana and cannabis produce are sold and dispensed in a hygienic setting. The cannabis being sold also needs to be grown and cultivated under specific regulations. This includes how the cannabis is handled, cultivated and also stored. The dispensary is also required to keep records of transactions taking place in the Point of Sale system. Names and personal details do not have to be recorded. The majority of medical marijuana dispensaries have to have records of the exact type of cannabis product that is being sold, the quantity of cannabis being sold, the buyer’s date of birth, the price the buyers purchased it for, and the date that the product was sold. In addition, they must also have a written policy that states how the dispensary will guarantee that the limit of retail cannabis sold to any one individual in one day is enforced. The next thing to bear in mind when finding your perfect medical marijuana dispensary is to look out for the dispensaries with the best quality product. Marijuana is now essentially like any other product being sold in a store, each dispensary will have differing grades and strains of marijuana. Remember that when you are looking to use marijuana for its medicinal capabilities then cheaper is not always the better option. There are some strains that will cost you more than others, and while this is not a blanket idea that the cheapest strains are of the lowest quality, it can be indicative of a marijuana strain carrying less pure components of the cannabanoids that you need. It helps if your dispensary has detailed information about the different levels of THC and CBD. Find a dispensary with employees that are passionate and very knowledgeable. These dispensaries and their employees are the ones that can help you find the right strain that you require. Seed and stems; avoid cannabis full of stems and seeds. These stems and seeds deliver a harsh punch when smoked and they do not have enough THC to produce the results you want. Avoid the brown cannabis. The colour of the budded flower indicates whether or not it is good marijuana. Look out for bright, vibrant coloured buds and avoid the dull, very brown buds. One of the most important factors for finding the right medical marijuana dispensary is how close it is to you. Many dispensaries are offering delivery services as well, so if you prefer not to go out and purchase in public you can order online and have it delivered. To find a product, whether it is creams, vapours, oils, edibles etc. in this way you will be able to find the perfect marijuana form that suits you the best. This wide selection of choice should permeate well into the strains that you can buy. You want to be able to try an indica blend for a more of a relaxed, introverted high or the sativa strain for a more energised and focused experience. Alternatively, you can find a strain that is blended by both indica and sativa. Now, once you have found your dispensary and ready to go then make sure you have a valid state ID. This is to ensure that you are above 21 years of age. It is important to remember that a medical marijuana dispensary is not a mere pot shop; it is a federal regulated dispensary, for medical purposes. It is no longer a shop that belongs on the fringe of society but is accepted more and more now with its legalities.